Configuration Management Suite is an Asset Management IT software that patch management, Internet software delivery, Package and uninstall scripts, and web remote control with Intel vPro Support. DECK DecisionWare is an operations management platform for connecting data to transform information into insights, and putting it in the hands of the right people at the right time. ServiceNow Discovery enables you to create an accurate, up‑to‑date, single system of record for IT infrastructure, both on‑premises and in public clouds. 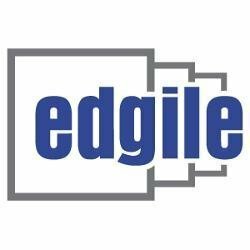 Edgile specializes in providing sustainable solutions designed to help clients address their evolving governance, risk and compliance requirements across industries, including healthcare, banking, utilities, manufacturing, telecom and others. Enhansoft is an information technology company that specializes in providing software solutions, custom reports, and consulting services for retrieving IT asset inventory. ENow's Systems management software provides monitoring and reporting for Exchange, Active Directory, Lync and SharePoint—with award-winning personalized dashboards. Infinera Management Suite (IMS) provides a set of product applications that address network management challenges. IT Management Platform has preconfigured alerting conditions, and reduces ticket volume up to 80%. The Jamcracker Cloud Management Platform is a comprehensive cloud services broker, cloud services management and cloud governance platform, including cloud services provisioning, policy management, cloud cost management, and operations management. JDisc Discovery automatically creates the IT documentation for a network and detects all common operating systems. Kumolus is integrated cloud management software. Roar enables MSPs with the capabilities to manage the Modern IT stack. Whether it's a system in the cloud, edge, or on-premise, Roar automates the discovery, documentation, change detection, and assessment of best practice configuration. Automation offers MSPs insight and operational efficiencies at scale, across all customers, continuously. It's time to ditch doing things manually. Operations Center integrates multiple data sources into information and service-delivery models, providing you with a holistic view of your entire IT environment. NiCE IT Management Solutions is a Microsoft System Center Alliance Partner that provides cross platform management packs. 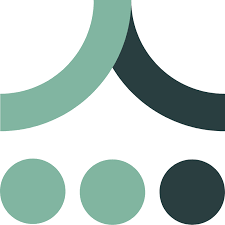 Nuvola Analytics is an enterprise level cloud financial governance solution designed to empower businesses to reduce costs of cloud services whereas increasing their performance. StreamWeaver has created OpStream: the industry’s first Enterprise-class ITOM integration solution. Built to scale, highly secure and hybrid cloud ready, OpStream connects event, metric and topology data to/from APM, network monitoring, event management, ITSM, analytics and visualization tools to easily exchange your IT operations data across organizational boundaries. OptiTune is an IT management system that allows companies to manage their computers from a web-based console. Designed for organizations with up to five thousand computers, OptiTune delivers a comprehensive feature set that includes remote desktop, remote assistance, remote command line, application deployment, windows update management, malware detection, hardware/software inventory, and performance monitoring. OptiTune lets you manage all the computers in your growing organization. Whether it's desktops plugged in at every desk, roaming laptops, or a group of servers silently churning away, OptiTune lets you take control of them all. Make sure they all have the latest updates. Know when you have a malware infestation. Provide remote assistance to a user having trouble. Or just deploy the latest version of Microsoft™ Office to the accounting department. See which servers are being overloaded. OptiTune lets you do all of these things, and more. Savision iQ is an IT management solution. SoftNAS Cloud NAS is a software-defined, full-featured enterprise cloud NAS filer for primary data storage, designed to enable existing applications securely migrate to the cloud without re-engineering. SUMMIT Availability Management is an ITIL 2011 certified module that is designed to proactively collect and monitor availability and performance data across your entire enterprise using agent-based or agent less technology. Our solution can be leveraged using automation to do regular maintenance tasks on the datacenter components whether they're on the premises or on the cloud. SUMMIT’s Availability Management solution comprises of modules like Network Monitoring, Server Monitoring & Application Monitoring with in-built Event Management capabilities across the solutions. Main Benefits: Ensuring agile and available business applications through efficient management of on premise datacenters, private and public clouds. Maximization of business performance through continuous monitoring. Increase in IT operational efficiency by reducing infrastructure support costs and proactively resolving potential problems. Monitoring of IT services from anywhere, at any time, with any web-enabled mobile device. Leveraging the cloud for fast, low-cost implementations, high security and availability. Promoting best practices for monitoring based on a unified ITIL 2011 compliant platform. TrueSight Operations Management delivers end-to-end performance monitoring and event management. Capture, analyze and act on information about workforce activities and business processes. With Unified Communications Analytics, you're able to improve and protect your business by turning the data trapped in your communications systems into understandable, usable and engaging insight into workforce activities, business processes and UC infrastructure needs. VConnect as a cross platform integration solution enables hybrid cloud scenarios for enterprises and service providers. VDCF is a platform management framework for the Solaris Operating System. VDCF allows to deploy, operate, migrate, secure and monitor a virtualized data center based on Solaris 10 and 11 Zones (Containers) and/or Logical Domains controlled by a centralized management server. Using VDCF you can easily combine both virtualization technologies to get the most flexibility and benefit for your agile Enterprise Grade Private Cloud environment. Zulu Enterprise is fully-supported, standards-compliant Java SE from Azul Systems. Declare your independence and protect your business today.